Home Informations Guides and Advices for Chihuahua The Chihuahua Vaccines, Guide and Advices. Ever since our Chihuahua puppy is in the mother’s womb, she begins to acquire part of the immunity that she will probably carry throughout her life. The puppy’s health is attacked at any time by microorganisms that most of the time we cannot even see. It is therefore best to do all you can to help him defend himself from these potential pathogens. Obviously to be sure of being fully effective in this, you should turn to a professional who is the veterinarian, who will know how to advise you and how to administer all the necessary therapies. The first prophylaxis is implemented just a few days after birth. It starts with the first deworming, since almost all the puppies suffer from the bowel infestations by roundworms, parasites that look like small worms. But there is nothing to worry about, since after two doses of deworming, except in exceptional cases, it will completely solve the problem. The administration should be carried out one to twenty days and the other after approximately twenty-five days after the first. To make sure that the deworming have been successful, it is recommended, that when the puppy is two months old, to bring a stool sample to your vet to check that roundworms have been completely eradicated. The actual vaccinations are many, some of which are mandatory, other optional and other highly recommended for those who live in certain endemic areas where a characteristic pathogen or parasite may be strongly present. The first vaccinations for Chihuahua usually should be performed on a dog of about 7 weeks; each veterinarian may follow a different vaccine protocol, for example, would prefer to take pentavalent injection, while another may prefer to perform them separately at different times. Normally, the routine vaccination plan consists of a first injection by Parvovirus, Distemper, Adenovirus and Parainfluenza, with reference to the twelfth week of the subject. The distemper is a disease transmitted by morbillivirus, which can lead to gastrointestinal, respiratory and nervous problems in our dog. Parvovirus, conveyed by parvovirus, leads to highly infectious hemorrhagic gastroenteritis. The adenovirus instead causes the infectious hepatitis, especially in young individuals (three to twelve months of age). Normally at the first call the vaccination for leptospirosis would be added, but in Chihuahua it may trigger allergic reactions due to hypersensitivity to the components of the vaccine, perhaps because of a simple predisposition of the breed. It is then advisable to do this at a later time, but this will always be advised by your veterinarian. The recall of these vaccinations will then be performed every twelve months to ensure the immune coverage of your Chihuahua forever. There are also some vaccinations that are only carried out in exceptional cases: anti-rabies, for example, that are carried out only in areas where the dog may come into contact with potentially infected wildlife (mainly regions bordering Slovenia and Austria) or if you want to bring your friend in another state, and therefore you need to put it in his passport. – The coronavirus vaccine is recommended when the puppy lives in contact with many dogs or in unhealthy environments. -for the Babesia, a parasite, which is only performed when the first symptoms occur. -for herpesvirus, recommended in herds because it can cause abortion or birth of dead fetuses. If you want to go check the vaccinations that have been made to your dog, you will find only the drug name in your booklet, but by entering your name on the internet in a common search engine, you will find all the information you want, or just ask your veterinary. 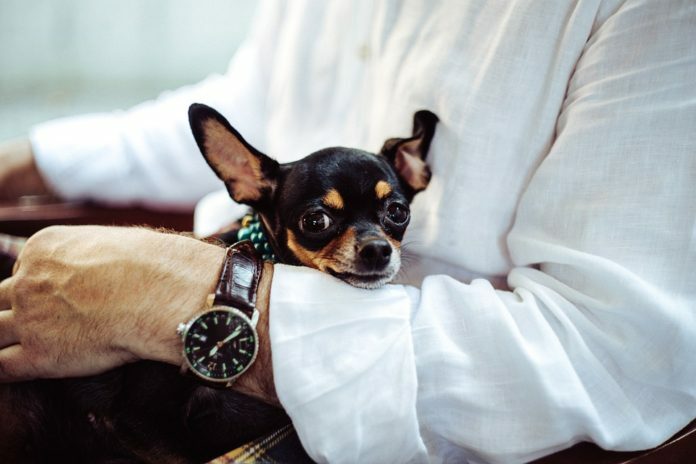 Since Chihuahua is small in size, its small size may require the use of only half a dose of the vaccine that is normally packaged, but do not get alarmed, your friend will be safe and secure anyway! Next articlePreparing for the arrival of a Chihuahua puppy, guide and advices.